We get it: running a business is hard work. You’re getting pulled in a million different directions, trying to distribute finite resources to various sectors of the business, and basically trying to keep the entire operation afloat. 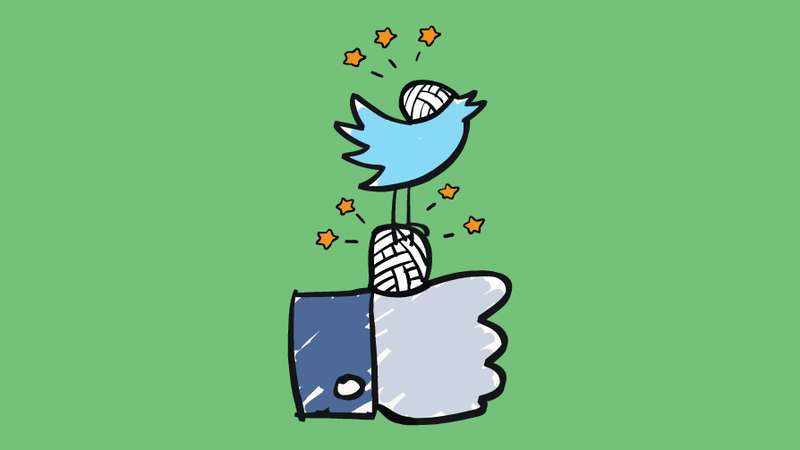 Amidst all that chaos, it can seem like a good idea to simply hire an intern to look after your social media. Afterall, you don’t have the time to manage it yourself, the intern is bound to know way more about social media than you do anyway, seeing as they spend half their life on it, and they are super cheap! 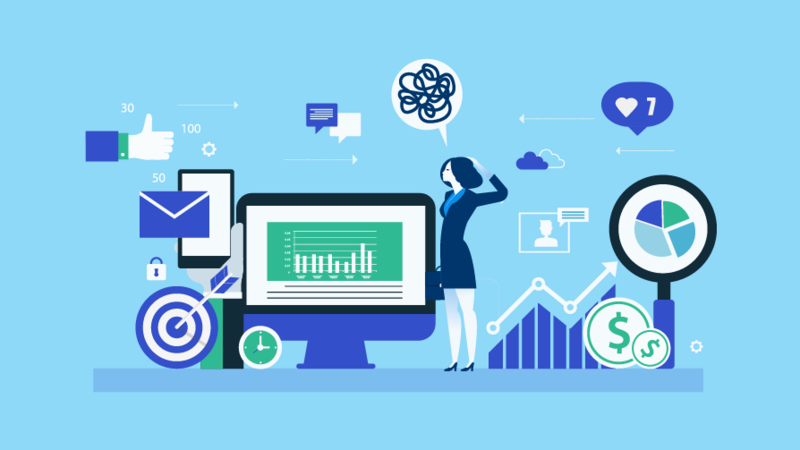 While these might sound like good reasons, you are actually doing your business a huge disservice by entrusting such an important aspect of customer relations to someone who is not an experienced marketer. 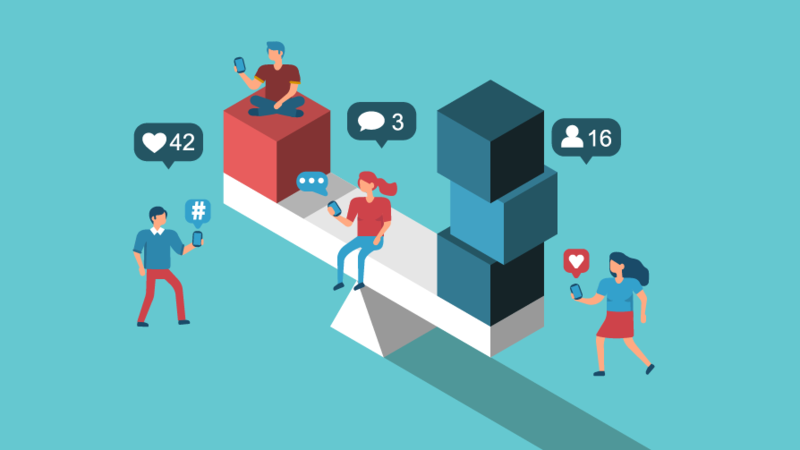 The truth is, you may not be harnessing the full power of social media – and this could be hurting your business in the long run. Here are 4 potential nightmares that could befall you at the hands of a junior social media executive. This isn’t limited to interns, of course – we all make mistakes – but your intern’s inexperience coupled with a lack of industry know-how does mean the chances of an embarrassing slip-up are much higher. Whether it is a typo here and there, an inappropriate meme or gif, a plagiarised image, or retweets of posts from your company’s competitors, you can be pretty certain that your brand’s reputation is balancing on a knife-edge. 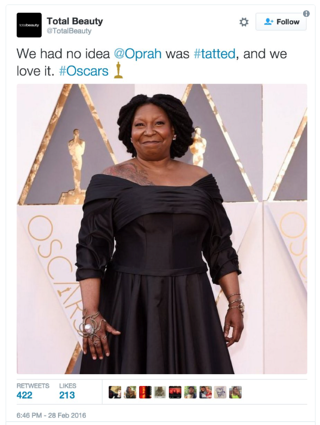 And these little mishaps can sometimes be hard to recover from, as beauty website Total Beauty discovered when they accidentally mistook Whoopi Goldberg for Oprah Winfrey. People were so chagrined, the mistake even generated its own hashtag #ThatsNotOprah. Not only was this mistake pretty mortifying (particularly for a beauty website, which presumably is pretty familiar with celebrity culture), but it also painted the website as racist, and while there’s no good time to be seen as racist, the wake of the #OscarsSoWhite controversy seemed especially poor timing. One little error like this, and your intern has potentially cost your business a whole lot of valuable brand equity that could take weeks or months to build up again. Not looking so cheap now, huh? 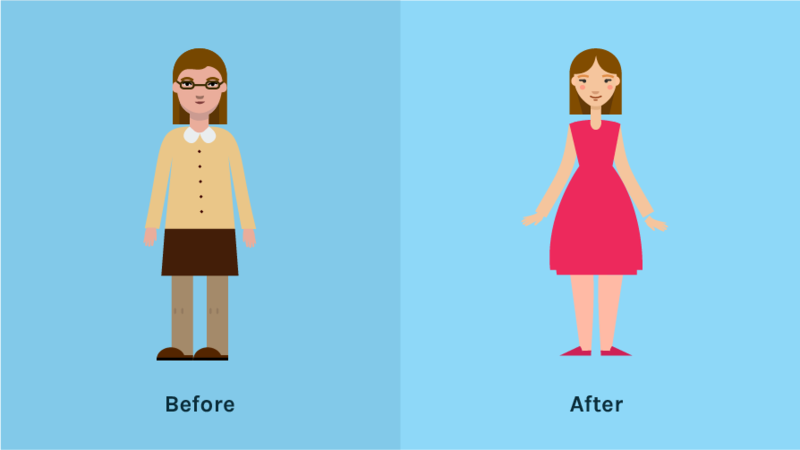 An intern is not necessarily going to have a good handle on the particular tone and personality of your business – they’re more likely to just use some version of their own voice. And, sure, you might luck out and get an intern with a great voice for social media that fits perfectly with your brand – but when that intern leaves your business in a few months’ time, you’ve effectively lost your social media branding in one fell swoop. Customers can smell inauthenticity from a mile away, so if your voice and branding is inconsistent, unprofessional or robotic, this will make them extremely wary about trusting you with their business. Social media is not just about posting status updates every now and then. It’s also about actively engaging with customers – and this sometimes means dealing with complaints. If you wouldn’t trust your intern to deal with complex customer service issues on the phone or over email, then you probably shouldn’t be entrusting this responsibility to them on social media either. Dealing quickly and effectively with customer gripes can be a bit of a minefield, particularly when the comments are public and out there for all the world to see. 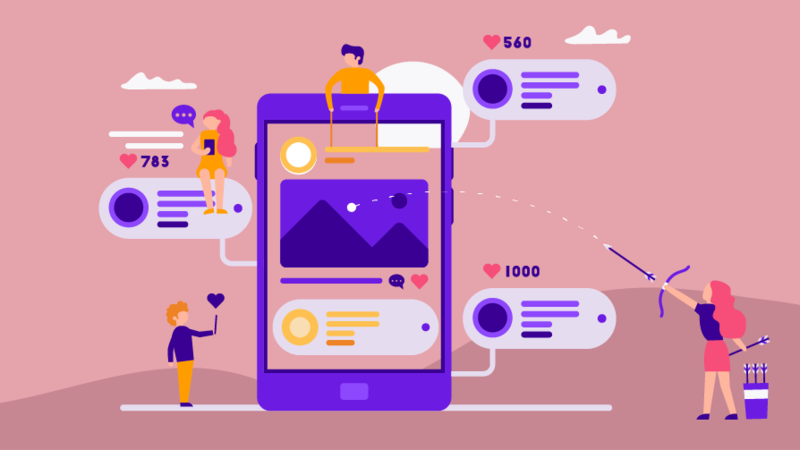 If done artfully, though, you not only get brownie points with the customer, helping to turn them into brand advocates, but you may even get more followers out of it. Win win! 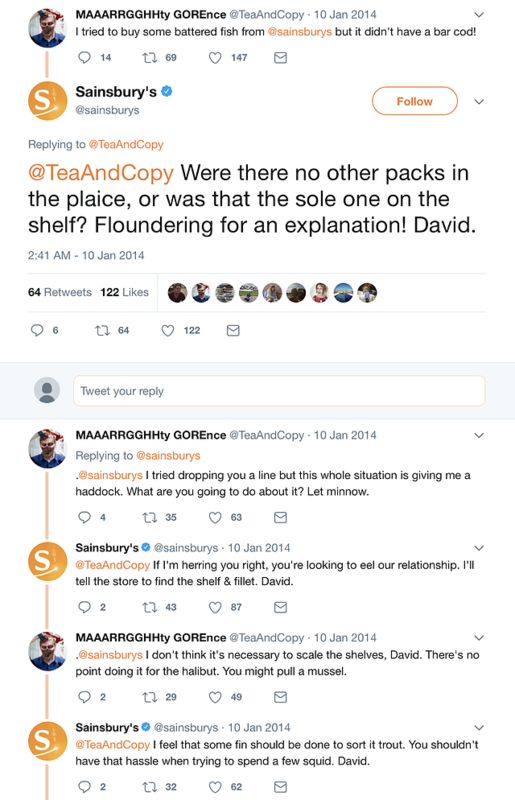 We were especially impressed by this pun-tastic exchange with British supermarket chain Sainsbury’s. This is the biggest problem with outsourcing your social media to an intern. If you want to get the most value out of your social media presence, then your social media needs to be part and parcel of an overarching marketing strategy, with specific and measurable goals and KPIs. This means having a robust understanding of social media analytics and metrics, and how these translate to business metrics. It means being able to translate the data into insights and actions, ensuring that your social media presence keeps improving. And it means being familiar with the complex ins and outs of the advertising landscape, and how paid posts can help to increase brand awareness and engagement. It’s simply unreasonable to expect an intern with limited experience to have this level of expertise when it comes to social media. And, sure, you could maybe teach them the ropes, but this will likely involve spending inordinate amounts of time trying to maintain constant oversight – and, again, there go your supposed cost savings. So, if not an intern, then who? We’re not saying don’t hire interns – they can be a great asset to a team, and can inject a lot of zest and creativity into your social media strategy if their efforts are properly directed. What they should not be, however, is the sole person responsible for your social media efforts. One option is hiring an experienced and dedicated social media manager to be part of your team, though this requires a fairly significant financial investment. Social media is an integral aspect of any good inbound marketing strategy. 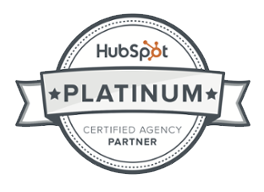 Want to know how your inbound marketing approach stacks up on the whole? Then give our inbound marketing self-assessment tool a whirl. Why not try it now?